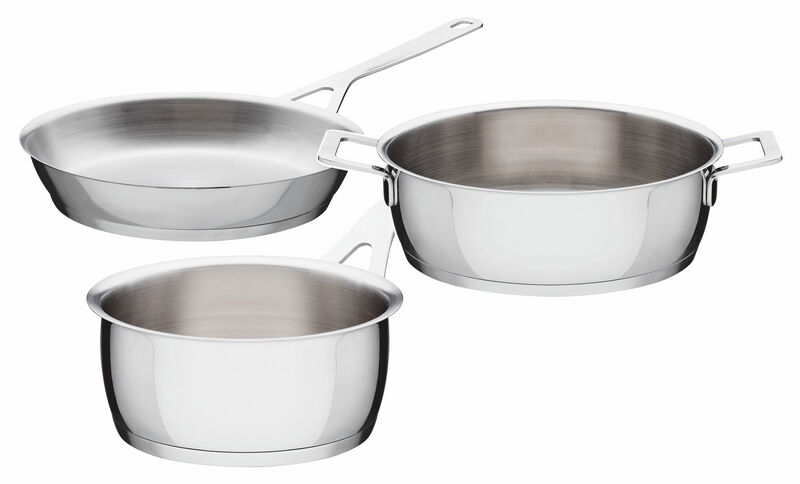 Ambitious objective for this third series of pans by Alessi : to ally design, reasonable price and functionality ! Jasper Morrison did it ! He proposes to us the Pots&Pans collection with sober and smart forms. Two characteristics are particularly worthy of note : the wide internal radius of the base, which guarantees greater cooking performance, and the flared rim, which facilitates pouring foods and liquids. The pots are suitable for use on induction hobs, gas hobs, electric hobs, pyroceram hobs and in the oven, and are also dishwasher proof. 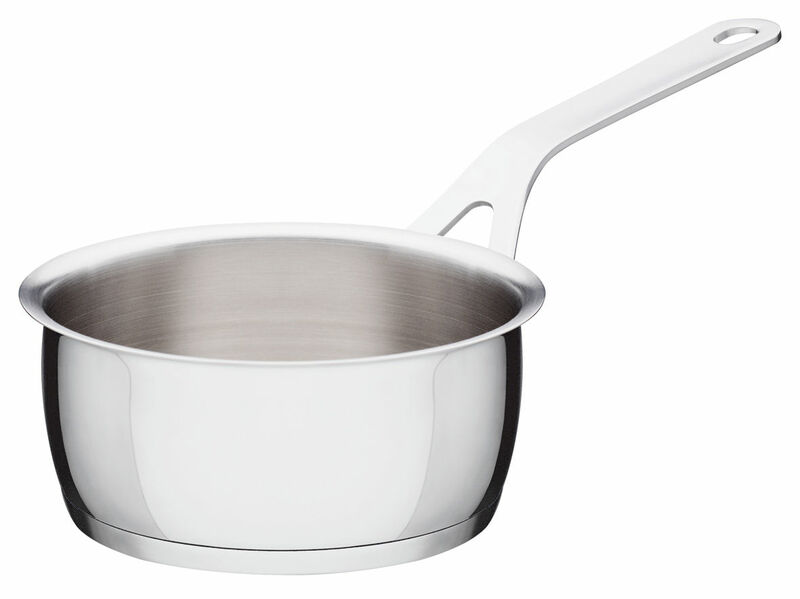 Saucepans are available with diameter 14, 16, 18 and 20 cm.